Hugh V. “Butch” Tate III, age 74, of Hibbing died Monday, March 18, 2019 in his home with family at his side. He was born January 30, 1945, in Hibbing the son of Hugh, Jr. and Agnes (Stensland) Tate. He was a graduate of Hibbing High School and the Hibbing Area Technical College. Butch was united in marriage to Charlotte S. Hogback on June 3, 1967 in Hibbing. Butch was a Retired Senior Master Sergeant with the US Air Force, and a decorated Vietnam Veteran. Butch was a member of Blessed Sacrament Catholic Church, the DAV, VFW, Air Force Sergeant’s Association, and the Honor Guard. He enjoyed Camping. 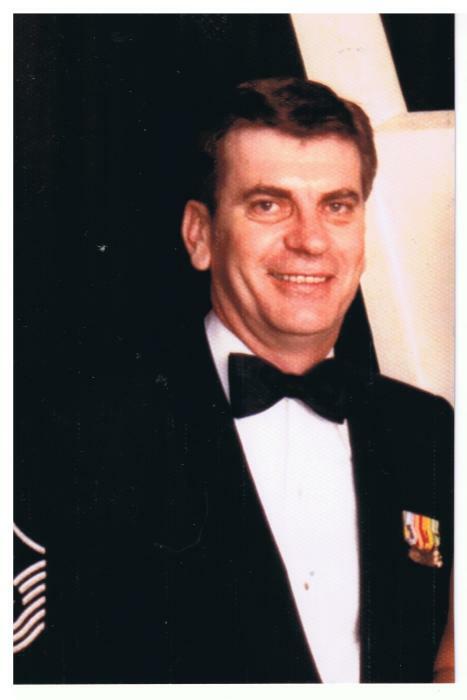 Butch is survived by his wife: Charlotte; daughters: Lisa Marie (Jason) Kangas of Las Vegas, NV, and Tara Suzanne Tilson of Hibbing, MN; siblings: Elizabeth Moore of Hibbing, Timothy (Yolanda) Tate of San Antonio, TX, and James (Nan) Tate of Stillwater, MN; grandchildren: Megan, Shelita, Raina, and James; great-grandchildren: Maliena, Andre, Talon, Calvin, Devine, and Vincent; and numerous Nieces, Nephews, Extended Family, and Extended Military Family. He was preceded in death by his parents; and his sister: Eileen. Visitation will be from 10 am until the 11 am Memorial Service Monday, March 25, 2019 at the Anderson-Daniels Funeral Home Chapel. Deacon Timothy Tate will officiate. Inurnment will be in the Hibbing Park “Maple Hill” Cemetery.